In 1973, after 20 years in Hollywood making 39 films and hundreds of recordings, followed by five-year (1968-1973) making The Doris Day Show TV series, Doris gave it all up and walked away aged 49. Anyone who’s followed her career will not have been surprised by this. She was never addicted to the limelight – as much as she loved making films she also maintained that, “Work was work, and when I wasn’t at work, I didn’t think about it”. No doubt there were a few special films that she did think about when she was ‘off duty’ but, generally speaking, that was her attitude. One of her big hits, Doris Day with Allyn McLerie in “Calamity Jane” 1953. She had learned to move easily through life, following her varied career from unknown band singer to top recording film and TV star. Her son Terry Melcher said, “My mother is very good at moving on” and gave as one example, “As soon as she felt her voice had passed its peak, she stopped recording. She just got to the stage where she felt there were others who had taken the spotlight and she didn’t think her music was relevant anymore”. 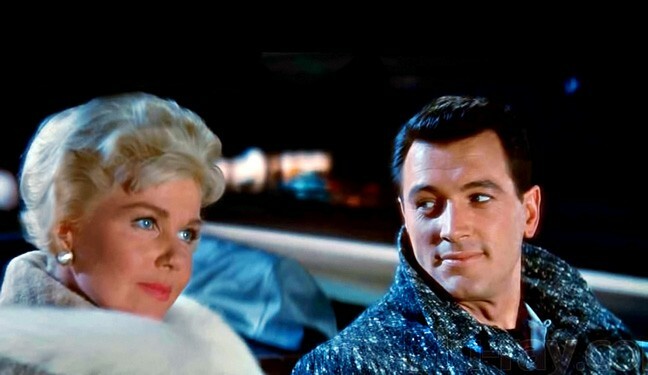 Another smash hit, Doris and Rock Hudson in “Pillow Talk” 1959. It must have been clear to her that her film career had also passed its peak. Then nearly 50, she was too mature for the romantic comedies she’d been making and she didn’t want to play parts such as Mrs Robinson in The Graduate , which she was offered and turned down, considering it vulgar. She was probably also aware that it might not have been well received by some of her huge fan base – many of whom thought that her image-breaking role in Love Me or Leave Me was a bit risqué at the time. “Love Me or Leave Me” (1955), starring Doris Day, James Cagney and Cameron Mitchell. ‘This could be the best film I’ve made’, said Doris Day. Click here to order your autographed copy of Scott Dreier’s latest CD, The Doris Day Project. $5 of your purchase will go the Doris Day Animal Foundation. 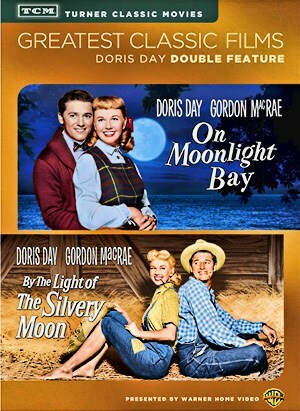 The Films of Doris Day is an unofficial fan website and a collaborative effort with other Doris Day fans. Many of the films mentioned have links to where you can find more information on them or buy DVDs, a small percentage of which will go towards supporting this website. Special thanks: Judy Rigdon, Ralph McKnight, Paul E Brogan, Howard Green, Michael Hadley, Lloyd K Jessen, Lauren Benjamin, Derald Hendry, Puck Groeneweg, Gonzalo Gamboa III and David Kaufman Thanks also to other members of The Doris Day Forum: Ania, Cranhill, Dayniac, Dave, Diane, Dominique, Dorine, Doris Day Fan, Doris Martin, Alan Moore, Flower, heckyeahdorisday, Jake Iverson, Jas, Jbeane, Johnny, Ken, Megan, Mikeydv, Nada, Peter Flapper, Ray Lyons, Rennie, Renny, Scooter, Sinem, Toby Martin, Tybear, and many others.